I can quite vividly still remember when I first came across your work. It was not simply the beauty and the imagination inside of every shot, that made me an instant fan, it was the wisdom and the humility and the giving man behind the camera, that has become so adored. From your March 13, 2014 introduction in Rise: An Artist Collaborative of Inner Strength to The Exorcist and your National Geographic Photo viewed around the world, to your coming back home for the Artists Collaboration Round of The Lives We Live and every show in between, you have taken the shot and shared the wonders of the world you see so unselfishly. IvySoul and Fran Daddy are planning the online ceremonies, of which there will be two. The first on November 15, a Celebration of the Arts in your honor. Then on December 30 during the 2015 Season-ending Show on December 30, your name will be added to The Neighborhood’s Wall of Fame. 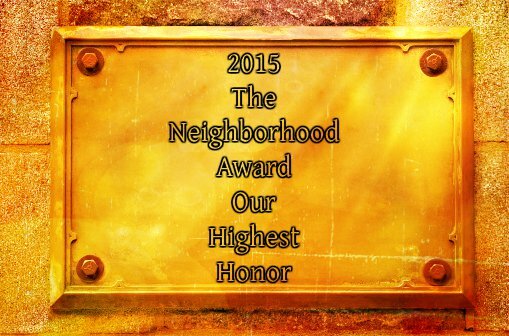 We hope you are as pleased to be the 2nd honoree as we are to call you one of our own. Much love Gabor. You mean the world to us. You never know how fate and other people bring to you. In my life as I believed – the light is mainly brightened and brought by nature and landscapes, flowers and the sun only – and sometimes I think people are just messengers of shadows and dark times. And then now… Unexpectedly you ruin this theory. You – not only my friend Kendall but all of you, all of those talents and men, women I knew only from The Public Blogger’s site – you bring the brightest light to me as bright only Christmas night can be. This is not only a honor to me, not only a very proud moment, but again a kind of evidence, that you must never turn away from your fellow people, the human kind. Not only landscapes, flowers, animals and the sun itself can be the source of light, happiness – but you, humans, and all the people. And it’s not the Award only which makes me now very strong, proud and gives me energy to continue, but the fact that I have connection to these fellow humans who are the source, whom themselves are the light itself. And I will try my best to reflect this light not only through landscapes and nature – but through all those people whom at first seems to be dark and shadowy, somber and bitter – yet now I realized that the light is inside, and as Leonard Cohen says: “There is a Crack, a Crack in Everything / That’s How the Light Gets In”. I am very proud, I may – near to cry. Thank you Kendall, thank you so much Friends. We are up to this fam..
An honor rightfully bestowed! Congratulations Gabor! May your light burn brighter than ever! The perfect statesmen. You are appreciated Oscar. Friends, I am really honored and appreciate all your kind comments, all the light you radiate… Thank you so much, I bet you cannot imagine what an encoragement and strength it gives me… It should be all of you, whom deserve the award… Thank you everyone, thank you “The Neighborhood”! Have nice lights! A most deserving award to you Gabor. Congratulations! Kendall you are very observant when you highlight the generosity of this artist to be one of his most outstanding characteristics. “There is a Crack, a Crack in Everything / That’s How the Light Gets In”.